The flowers are tiny and white in a flat-topped lacy bunch called an "umbel.” There is 1 tiny, dark reddish-brown flower in the center. The stem is hairy. The leaves are long, and fern-like and smell like carrots. They bloom June through September. 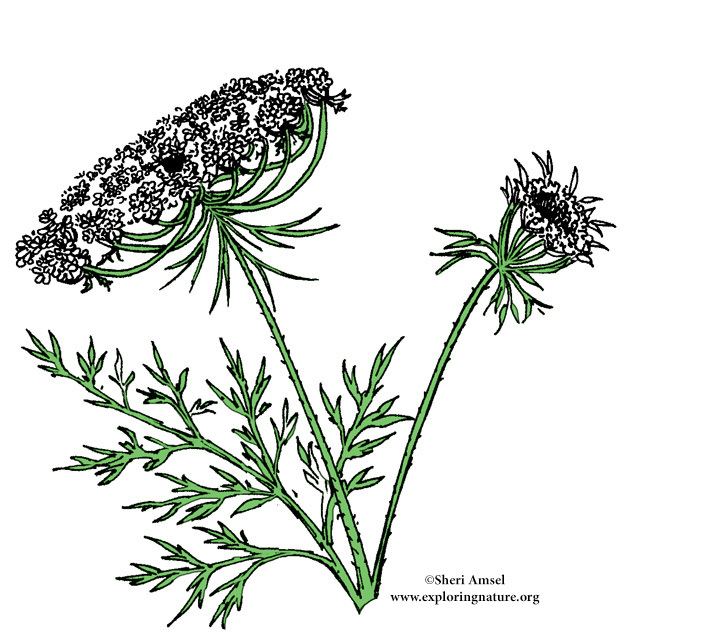 Also called, bird's nest and wild carrot.